The rapid development of Internet and artificial intelligence has changed people’s basic necessities of life, and vending machines have also been widely used on a large scale. 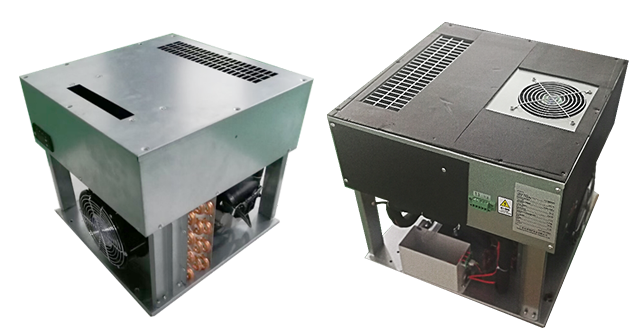 In order to meet the needs of the new retail development, the company has specifically developed a cooling module for vending machine, which has been came into market by bulk, and obtained the customer approbate gradually. It has features with more beautiful appearance, more compact and reasonable structure design, moreover, its remote monitoring optional function to make it use in unattended places perfectly. 1. Professional leading environmental control equipment manufacturer with more than 10 years experience in cooling field. 2 .More reasonable and optimized structure design. 3. Powerful cooling technology, precise control technology, and mechanical design technology platforms, providing more accurate and efficient support. 4. Many years cooling equipment application in telecom field, which has more stringent standard than vending machine area. Vango technology was founded in 2014, is one of the leading professional cooling manufactures and suppliers of the world, specializes in research and development (R&D), manufacturing, sales and service of temperature control products and solutions for Telecom Base Station, Retail Industry, Outdoor Advertising Player and another Industrial sectors. Meanwhile, we also focus on providing a wide variety of integrated solutions in the telecommunication, electric power, new energy, industrial and transportation fields, including all kinds of cabinets, cooling, power system, battery and so on. Vango has a group of experts with more than 10 years industrial experience to cater to the customers demands. Moreover, our team has mastered the world class mechanical design, precise cooling technology, and obtained a number of independent intellectual properties around temperature control area. The company has strictly followed the ISO9001 quality management system and ISO14001 environmental management system to control the whole process of manufacturing since it was established, the products were qualified with CCC, RoHS and CE certifications. Vango is based on “Customer-Oriented, Innovation, Quality, Value and Trust” as core pursuit, strive to be a benchmarking enterprise in the industry.